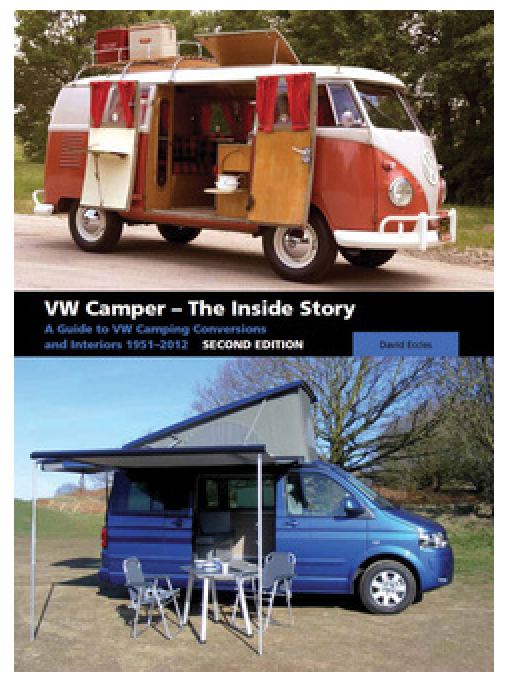 Adventurwagen; Amescador; Arcomobil; Australian Campers; Auto-Sleeper; Bilbo's Campers; Campmobile; Canadiana; Canterbury Pitt; Caraversions Hitop; Danbury Conversions; Dehler Profi; Devon Conversions; Dormobile; Eurec Campers; EZ Campers; Gardena Gypsy; Holdsworth; Joch Camping; Kamper Kits; Karmann Coachbuilts; Moortown Motors; Oxley Coachcraft; Poba Campers; Reimo Conversions; Riviera/ASI Campers; Safare Custom Campers; Service Mota-Caravan; Slumberwagen; South African Campers; Sport Kocijan; Sportsmobile; Sundial Campers; Syro Kit Campers; T3 (T25) UK Campers; Tischer Demountables; Teca Conversions; Viking; Westfalia Campers and VW California. To order, go to http://www.motorbooks.com/ and put "Eccles" in the search box. I'll post some pictures from the book once I have had a chance to review it.